It's the holidays and that mean lots of yummy treats to eat and make for neighbors and coworkers. 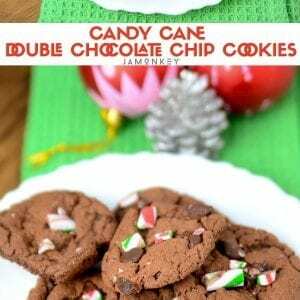 These candy cane double chocolate chip cookies are a sweet cookie that is sure to delight this season. I'm a sucker for cookies during the holidays. They are my favorite thing to make and eat. Cookies are just the best, hands down. 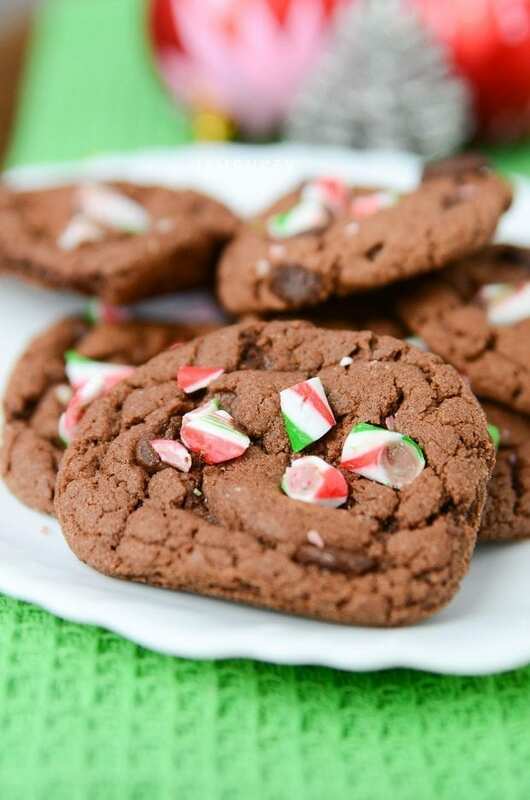 These cookies are made with devil's food cake mix and extra chocolate chips. 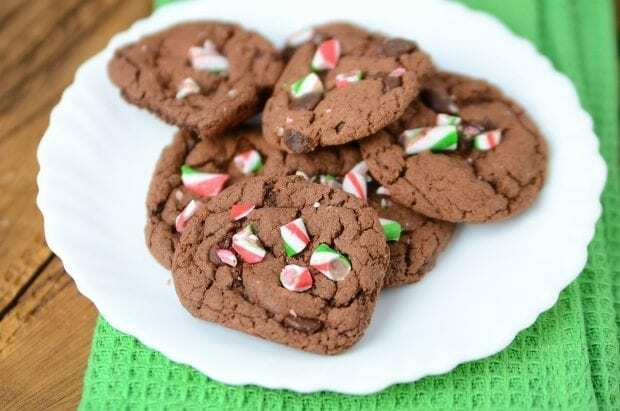 You'll add the candy canes to the cookies before baking. Make sure the candy canes are crushed up so the pieces are bite-sized. I love how easy these cookies are to make. After you've created the cookie dough, scoop it out onto your prepared cookie sheet. 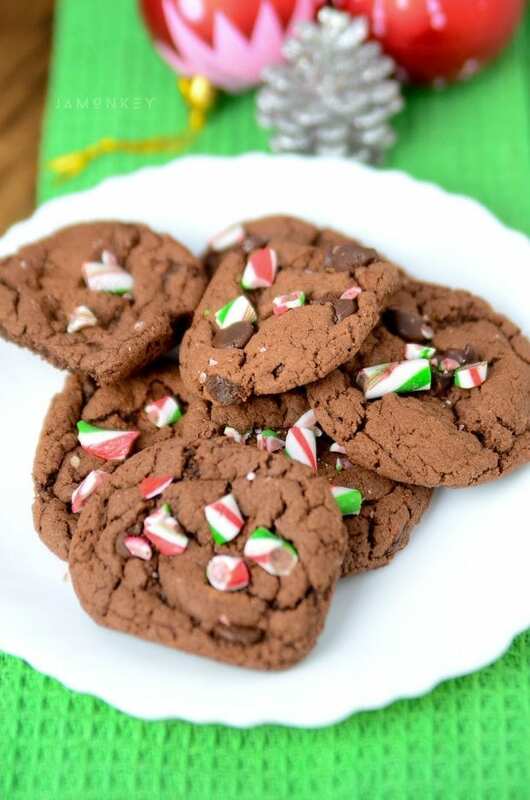 Sprinkle the candy cane on the top of the cookies before placing them in the oven to bake. These cookies are so festive and tasty. Bake for 8 – 10 minutes approximately, or until the cookies are baked completely and browned.